Savannah, Georgia offers a wide range of venues for any kind of event. And it’s especially popular for Greek Formals. Come on down to the South and bring along your brothers and sisters because you’re about to have a hell of a time. The city has tons of venues depending on how you would want your event to be. Need it fancy? Here’s a ballroom. Need it wild? How about a booze cruise? Furthermore, Savannah is filled with gorgeous hotels for your events and accommodations. A beautiful city founded on the river it’s named after, this southern gem has everything you’ll need for an unforgettable weekend! Take a trip down the river and enjoy a laid-back steamboat river cruise. Take a scenic tour around the city and marvel at the beauty Savannah has to offer. Given the city’s age, don’t be surprised to witness historical masterpieces left and right. From historical churches, synagogues, home, and even cemeteries, Savannah is a living image of the past. No wonder it’s also considered to be one of the most haunted cities in the country. Go around and try to visit as many of the 22 squares the city has, all come in different sizes with different fountains and monuments. A stroll down Forsyth Park will always be recommended by the locals and if you time it right, you can catch the Savannah Philharmonic playing there and listen to them in the open air underneath the stars of the night sky. Savannah, GA may be the oldest city in the state but don’t let that fool you, it can get just as wild as any city out there. If you really want to the best the Savannah has to offer then you have got to take a look around River Street. As the name suggests, River Street is right beside the city’s namesake river and it is more or less the beating heart of the city. Right along that river, you can get lost in almost a hundred different establishments - restaurants, boutiques, galleries, art studios, and pubs - just remember to always have an ID with you at all times. Drop by the many established shops along the river to get the best Savannah souvenir. River Street is more than just fun and games, it’s a cultural hub where you can visit monuments such as the African-American monument and the World War II monument and many more. 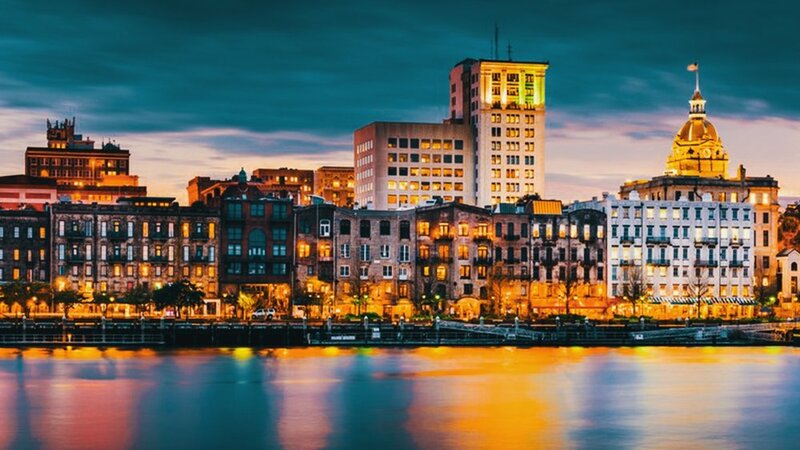 Also, make sure to schedule your visit to Savannah just right because the city hosts a lot of fun events along River Street such as the Savannah Food & Wine Festival, the Savannah Bacon Festival, and the Savannah Craft Brew Festival. But no matter what time of year it is, you can always go over to River Street and hop on the famous Savannah Riverboat Cruise. There are multiple trips in a day for your preference such as a daytime riverboat cruise, late-night riverboat cruise, dinner riverboat cruise, and even holiday-themed riverboat cruises. Residents of the city even schedule their weddings on these riverboat cruises.